On 12 January 2018, the High Risk Court A, chaired by Judge Yazmín Barrios, ruled on the aforementioned case declaring 39 people responsible for participating in a passport forgery network. Among those sentenced are former officials of the General Directorate of Migration (DGM) and the National Registry of Persons (RENAP), lawyers, human traffickers (coyotes) and users of the criminal structure, including Igor Vladimirovich Bitkov, Irina Viacheslavovna Bitkova and Anastasia Bitkova. The Court established that this structure enabled the entry, stay and illegal transit of foreigners, as well as the issuance to them of identity documents as if they were Guatemalan citizens, in exchange for money. By investigating this type of criminal organizations, Guatemala prevents the activity of human trafficking networks, which are responsible for human rights violations in the region, and prevents its territory from being used as a refuge for foreign criminals. 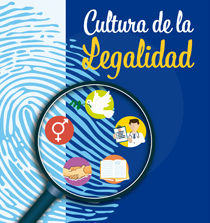 The Guatemalan justice sector institutions have acted with independence and adherence to the law, with the sole purpose of ensuring the interests of Guatemalans. In the specific case of the Bitkovs, the Court found that there was sufficient evidence to prove that they purchased false documents from members of the criminal structure, a conclusion reached after the examination of more than 50 documents from public institutions, subjected to expert and criminal analysis, and the statement of witness under a plea agreement who detailed the operations of the network. Igor Vladimirovich Bitkov, Irina Viacheslavovna Bitkova and Anastasia Bitkova entered Guatemala legally in 2009. There is no record of any asylum request when they entered the country. Later, Mr. Bitkov bought false documentation for him, his wife and their daughter. Mr. and Mrs. Bitkov changed their names, but their daughter kept her original name in the false documents. While, during the process, it was not demonstrated that Cutino International Associates acquired the documents, there was evidence of direct arrangements made by Mr. Bitkov before RENAP. Since 2009, Mr. Bitkov has used two different identities in Guatemala: Igor Benítez García and Leonid Zaharenco. For this purpose, he used identification documents containing false information, issued by different institutions and Guatemalan public registries. In 2009, Mr. Bitkov used an altered birth certificate issued by the municipality of Taxisco, Santa Rosa, to obtain a false identity card. This was extended by the mayor of Guazacapan, Santa Rosa, and settled in the name of Igor Benítez García. Thus, Mr. Bitkov unlawfully stole the identity of another person. Mr. Bitkov used the identity card to create the company MIRGIB, INVESTMENTS, S.A .; obtain a driving license and request a Guatemalan passport. However, anomalies were detected in the process of issuing the passport and it was canceled. Mr. Bitkov then required a new identity, for which he requested a personal identity card (DPI) before the National Registry of Persons (RENAP), once again using documents with false information. He then obtained the illegal and illegitimate identity of Leonid Zaharenco. The new personal identity card was then used to as proof of his appointment as administrator and legal representative of the commercial entity REIKI, S.A.; and to marry under civil law a woman identified as Maria Irina Germanis, who was already his wife in Russia, thereby obtaining a Guatemalan passport. Anastasia Bitkova: Suppression and alteration of civil status (article 240 of the Criminal Code) and use of false documents (article 325 of the Criminal Code). Igor Bitkov: Usurpartion of civil status (article 241 of the Criminal Code), suppression and alteration of civil status (article 240 of the Criminal Code) and use of false documents (article 325 of the Criminal Code). Irina Bitkova: Suppression and alteration of civil status (article 240 of the Criminal Code) and use of false documents (article 325 of the Criminal Code). In 2010, the Special Prosecutor's Office against Impunity (FECI) opened the “Migration case” following a complaint filed by Mr. Fidel Pacheco, the leader of the staff union within the General Directorate of Migration. Mr. Pacheco -- who later died -- had pointed to a group of officials within the General Directorate of Migration as responsible for the issuance of false passports; the exit of national and foreign persons with false documentation; and the entry of people without meeting the requirements established by law. In June 2013, seven staffers of the General Directorate of Passports were prosecuted in relation with the Migration case. The International Commission against Impunity in Guatemala, CICIG, joined the process as a joint plaintiff (querellante adhesivo). In January 2014, in the first hearing of the Migration case, an additional 27 people were linked to the process. Also in 2014, documents found in the search and inspection of the Staff Union premises in the General Directorate of Immigration, as well as the testimony of a witness under a plea agreement on 6 June, pointed to Leonid Zaharenco or Gregorio Igor Benítez García as a user of the network. The FECI learned at that time that, on December 2, 2013, the legal representatives of VTB BANK had filed a complaint against Leonid Zaharenco and / or Gregorio Igor Benítez García, and Irina Vyacheslavovna Bitkova and / or María Irina Rodríguez Germanis, before the Metropolitan Prosecutor's Office for the use of false documents. On November 13, 2014, the complaint filed by VTB Bank was transferred from the Metropolitan Prosecutor's Office to the FECI, as it was related to the criminal organization that operated within the General Directorate of Immigration. In January 2015, the Court issued an arrest warrant against the 3 persons of Russian nationality (Igor Vladimirovich Bitkov, Irina Viacheslavovna Bitkova and Anastasia Bitkova) on charges of usurpation of civil status, use of forged documents and suppression and alteration of civil status. At the first hearing of these persons, VTB BANK joined the process as complementary prosecutor, a status that was provisionally granted as established under the Guatemalan criminal procedures. Later, in 2017, BTV BANK lost said status. The Public Prosecutor's Office continued to advance the criminal prosecution, since the crimes fall under the public action category (unavoidable and irretractable criminal prosecution). Regarding reports on alleged persecution suffered by the Bitkovs in Russia. The Public Ministry, with support of CICIG, investigated the existence of a criminal structure that committed unlawful acts within the Guatemalan General Directorate of Migration. Facts not related to this structure, which had taken place previously or in other countries, were not subject to investigation nor were under the purview of this Prosecutor’s Office. During the process, the defense attorneys did not submit any document or evidence regarding past events in Russia or a possible risk situation. At no point during the procedure the Bitkovs referred to any asylum petition. It appears that a refuge request was declined in 2016 by the National Commission for Refugees (CONRAE), an inter-ministerial body in which a representative of the Office of the United Nations High Commissioner for Refugees (UNHCR) participates. Since their arrest, the Bitkovs were treated with respect for their rights and in compliance with Guatemalan law, with full observance of procedural guarantees.